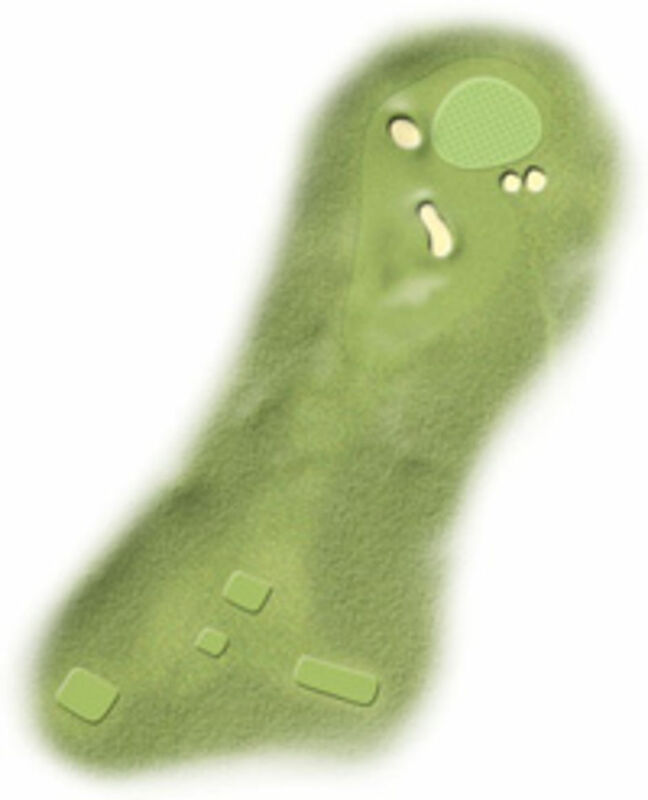 At 212 yards, this par 3 requires an exceptional shot into the wind to carry the front bunker. Down wind and avoiding "going through" is a problem. A par here is a very satisfying close to the front 9. Four deep bunkers protect the front so take plenty of club.